The treaty will finally come into force soon. The voting took place at the Senate's plenary session in The Hague. The number of senators who stated in support of the agreement twice exceeded the number of opponents. The meeting was attended by Dutch Prime Minister Mark Rutte and Foreign Minister Bert Kunders, who support the Ukraine-EU association. The lower house of the Dutch parliament (House of Representatives) officially confirmed the ratification of the agreement on Ukraine's association with the European Union on 23 February. 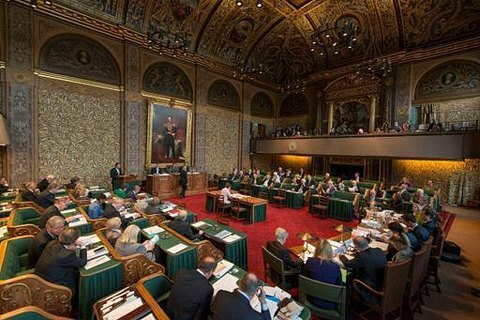 After the approval of the upper chamber (the Senate) the ratification documents will be handed over for signature to the King of the Netherlands and sent to Brussels. The Netherlands have been the only EU country that did not ratify the Ukraine-EU association agreement between after the Dutch rejected it in a non-binding referendum last April. The Netherlands required the agreement clearly spell out that it does not imply automatic guarantees of security, military assistance and financial support to Ukraine and does not give Ukrainians the right to live and work freely in the EU. The association agreement did not imply any of these opportunities but the Dutch government wanted to them to be clearly stated beyond the document in order to reassure voters. EU leaders agreed with this and at the same time demanded that Ukraine continued the combat against sweeping corruption. Since 2014, the Association Agreement has operated on a temporary basis, and will finally come into force after ratification by the Netherlands.